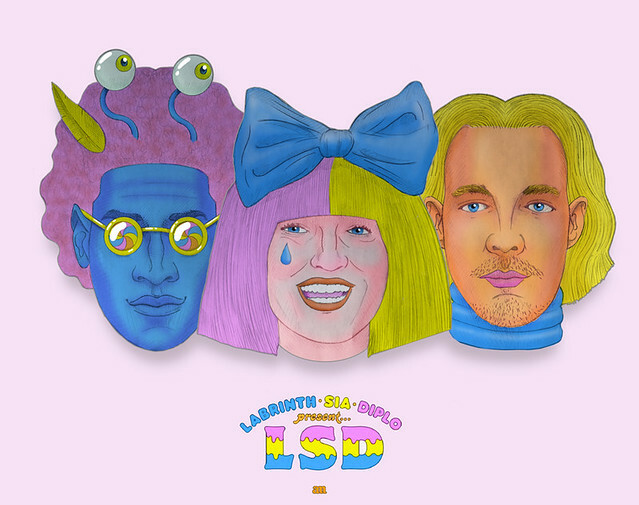 LSD is a collaborative project comprising English musician Labrinth, Australian singer Sia and American music producer Diplo. The ensemble has released three singles, all of which will appear on their forthcoming debut studio album, due out in September 2018. The video was directed by Dano Cherny, starring Maddie Ziegler and featuring Ryan Heffington’s choreography. The group will appear together for the first time when it presents “No New Friends” on The Ellen DeGeneres Show on April 24. At the beginning of the clip, Maddie, who is a giant, plays among the mountains with a small Labrinth. The two of them form a bond of friendship. Maddie Ziegler and Labrinth roam the countryside, observe cloud formations and meet small clones of Ziegler dancing. In the final part, Diplo appears as a giant that is five times bigger than Maddie. A complete madness!. Watch the video ( LSD – No New Friends ) and tell us what you think!